We’ve been busy beavering away on our latest project over the last few weeks. It’s long been an ambition of ours to run our own festival. Having performed and attended many different fringe festivals and family events over the last few years we feel we’ve gleaned what works, what we like, and what we like less. With this in mind we set about planning our own festival and searching for partners. Plymouth Libraries agreed to host the three day event and thanks to support from The National Lottery through Arts Council England, The Elmgrant Trust, and our sponsors, Razzmatazz Plymouth, we are now able to realise our dream and share with you a fantastic programme of live theatre, music and crafting at this year’s Above & Beyond! 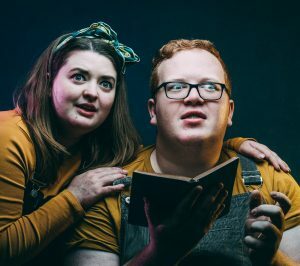 Since tickets went on sale last Friday, Little Meerkat’s Big Panic has already sold out it’s first show, so if you want to see this tremendous piece of interactive, multi-sensory theatre from our dear friends Collar & Cuffs, you had better book for their second performance fast! We’d also like to draw your attention to the award winning Ingo’s War by emerging physical theatre company, Ditto Theatre. It’s a touching piece which follows the journey of a dog during London’s Blitz. Having won the 2017 Reviews Hub: Beyond The Fringe award, this is certainly a show not to miss. 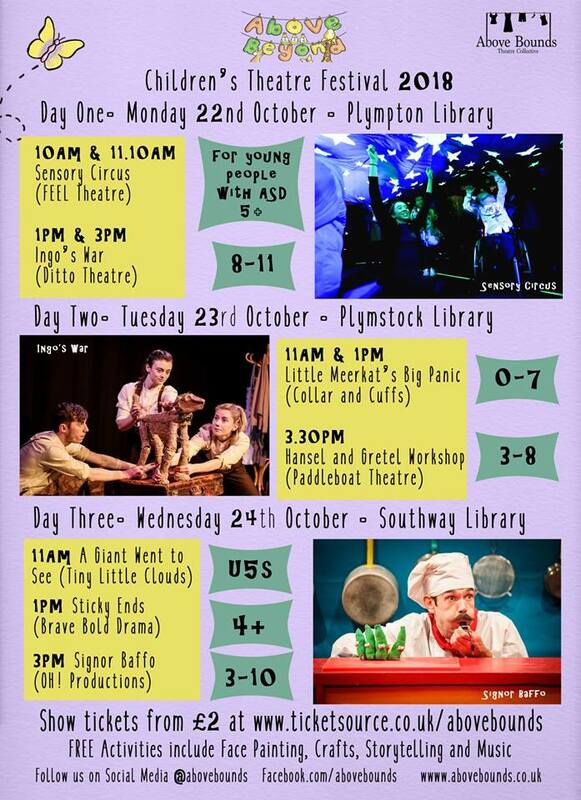 The festival takes place over three days (22-24 October), at Plympton, Plymstock and Southway libraries, and tickets can be booked here.